Next week, the Green City Growers team is installing Brookline’s first commercial chicken coop at the Olmstead Memory Support community at Goddard House Assisted Living. Since partnering with Khrysti Smyth and Yardbirds Backyard Chickens late last year, we’ve helped to provide these entertaining poultry-pets to a number of families throughout the Greater Boston area. The coop and six chickens at Goddard House, however, are something extra special. 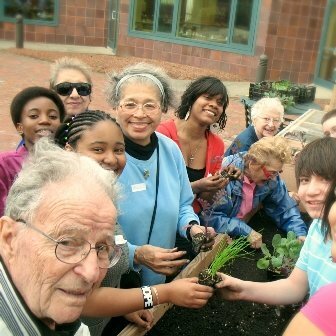 We were already running garden education programing for the residents of Goddard House when the Community Partnership Director, Ginny Mazur, came across a Boston Globe article detailing the rehabilitative benefits of chickens. At the same time, residents at Goddard were asking about adding animals to their programming, and GCG had just announced our new chicken offerings. Talk about serendipity! It is our sincere hope that the chickens will affect the residents at Goddard House in much the same way as those residents described in the Globe. 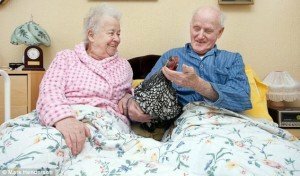 With outbursts of agitation quite frequent in patients with dementia, chickens allow for the calming presence one might associate with therapy dogs. Chicken therapy, however, is typically less structured, allowing residents to observe the animals throughout their day. The benefits of chicken-keeping are, of course, not solely limited to seniors. For children, chicken-keeping teaches responsibility that one might typically associate with ‘traditional’ pet ownership, while providing insights into life cycles and food production. And speaking of food production, we think most everyone will enjoy the delicious benefits of fresh eggs. 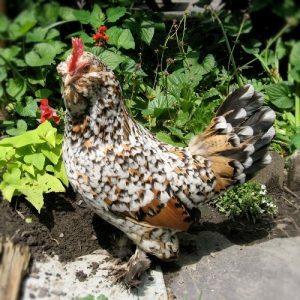 Interested in raising backyard chickens of your own? Contact us today!